American Hasi (Hindi for "American laughter") follows stand-up comedian Tushar Singh on a 35-day comedy tour across six cities in India from Jan-Feb 2015. As a fully Americanized second generation immigrant, Tushar takes his politically incorrect show (and his mom!) to his parents' homeland for an unpredictable tale of comedic growth and self-exploration. 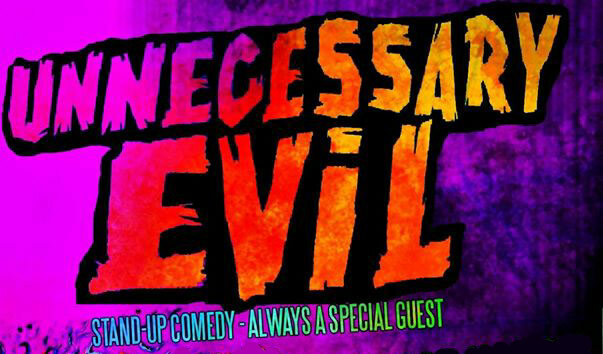 Unnecessary Evil is a live stand-up comedy showcase hosted by Tushar Singh at the Westside Comedy Theater in Santa Monica, featuring nationally touring comedians and the country's emerging talent. In its first year Unnecessary Evil was named one of CBS Los Angeles' "Best Up and Coming Comedy Shows in Los Angeles." Come out every Friday night at 8pm for an amazing night of comedy!